We have provided this page regarding frequently asked questions about flower preservation to be a helpful resource if you are considering preserving flowers from your special occasion. Please be sure to let us know if you have additional questions by contacting us! Here at Fantastic Blooms, creating unique, preserved floral keepsakes is a passion of ours, and we’d love to assist you in making yours! Wondering how to preserve flowers or have questions? Let us know! Do you provide floral preservation for all occasions? Absolutely! We preserve flowers for weddings, anniversaries, sympathy or memorial tributes, graduations, proms, Valentine’s Day, birth announcements, Bat and Bar Mitzvahs, christening, flower corsages, or just about any other special occasion that you can think of. As long as you have flowers you’d like to preserve – we have unique and artistic ways of crafting them into a variety of keepsakes. Preserved flower petal jewelry is among one of the most popular selections – please visit flower petal jewelry page to learn more. Can I still make a preserved floral keepsake out of my dried flowers from a few years ago? Fortunately, there are still options for creating your special flowers into a keepsake! While preserving them in their fresh looking state encased in a glass dome or shadow box is no longer available, you can still create a special jewelry item our of your dried flower petals. Visit our preserved flower gallery for beautiful examples! Is your flower preservation work warrantied? Yes, we fully stand behind the craftsmanship and quality of the work we do! Materials and workmanship have a 90-day guarantee from the time / date that your keepsake gets picked up. If you want to learn more about how to preserve flowers and our professional warrantied freeze-drying services, please give us a call. How long does it normally take until my preserved flower keepsake is ready for picking up? The process for preserving your memorial flowers is typically 10-14 weeks from the moment they are received by us at our studio. Your delicate flowers are handled very carefully as they progress through our freeze-dry flower preservation process in order to become your special keepsake. What will the longevity be for my preserved floral keepsake? Your preserved flower keepsake can be expected to beautifully last for years down the road. Special care instructions are also included when you receive your preserved flower petal jewelry or display so that you can help ensure its longevity. Best general practices include keeping your flowers away from harmful , direct sunlight or excessively humid environments. If your keepsake is encased behind UV protected glass, it is best to keep them there. This will help ensure that they are safe from dust, mold and other factors that can cause the breakdown of your flowers. How much does flower preservation cost? After you send in your information to us either by phone through our online customer information form, we will be in contact with you to discuss what kind of keepsake you would like to create. Because no two pieces are alike, we don’t have a fixed price list. 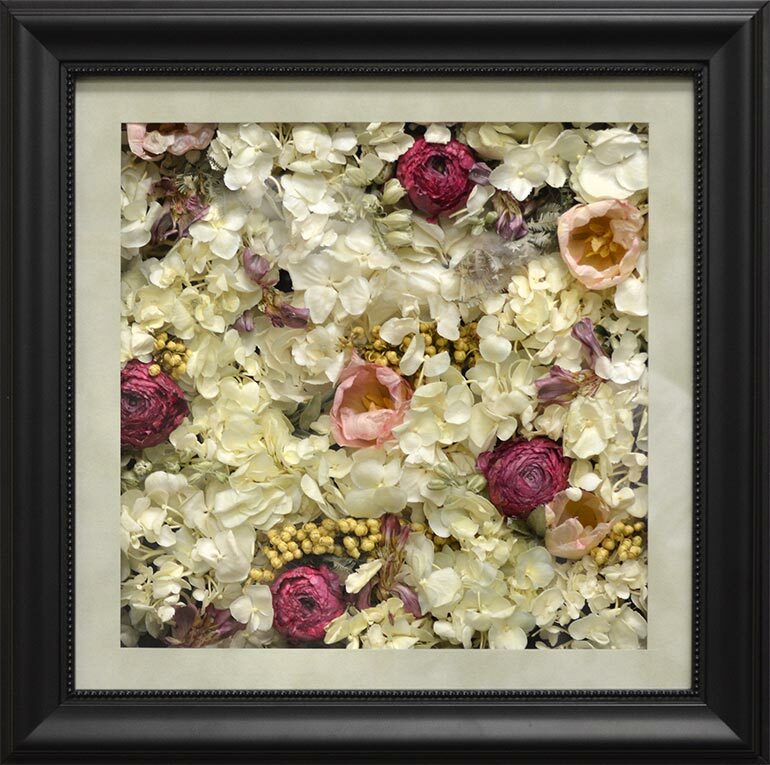 Rather, we recommend you browse our gallery of shadow boxes, flower petal jewelry and other preserved floral treasures if you’d like to get an initial idea of what your piece may cost. After you’ve connected with us and we know what you’d like to create, we will be able to give you an exact cost for your keepsake. What determines the cost to preserve your flowers into a keepsake? It is the type of display or jewelry piece that determines what your final cost will be. To get an idea, some or our gallery items display a price for you to get a general idea. Fantastic Blooms provides keepsake options for just about any budget size. You’re finished piece can range anywhere from below $100 to over $500. Is floral preservation all you do at Fantastic Blooms? Professionally preserving flowers is our key passion here at Fantastic Blooms! And while we make the art of freeze drying flowers into beautiful keepsakes our sole focus, we are constantly searching for new and unique ways to offer our valued customers a wider selection of creative options. Have your own unique idea for preserving your flowers not seen on our site? Contact us to see if it’s possible! Just how much will my preserved flowers appear like they did when they were fresh? If you chose to have your preserved flowers encased, they will retain their original shape. Colors may deepen in the preservation process, but they will appear realistic. The variety and color of your flowers also plays a role in slight color changes. White flowers, for instance, can often adopt an ivory or cream-like tone, while purples and reds can darken in the preserved state. If you chose to have your flowers created into preserved flower petal jewelry, then shape is not a factor, but the color will be similar to that of an encased keepsake. If you’re wondering how to preserve flowers, we can help answer any additional questions you may have. At Fantastic Blooms Floral Preservation, we are happy to assist you if you want to learn more about the process, and are here to help you get started on your own unique keepsake. If you have flowers from any special event that you’d like to have preserved, we can help!